We have watched this very often. 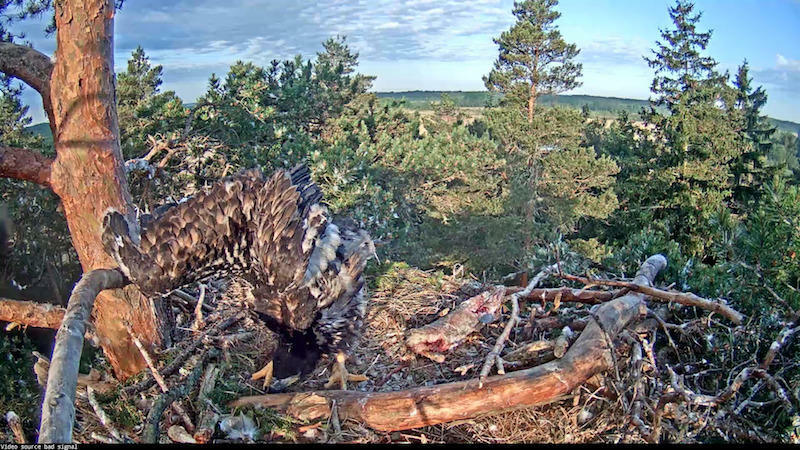 Sulev even tried to feed Suvi, she did not want it. 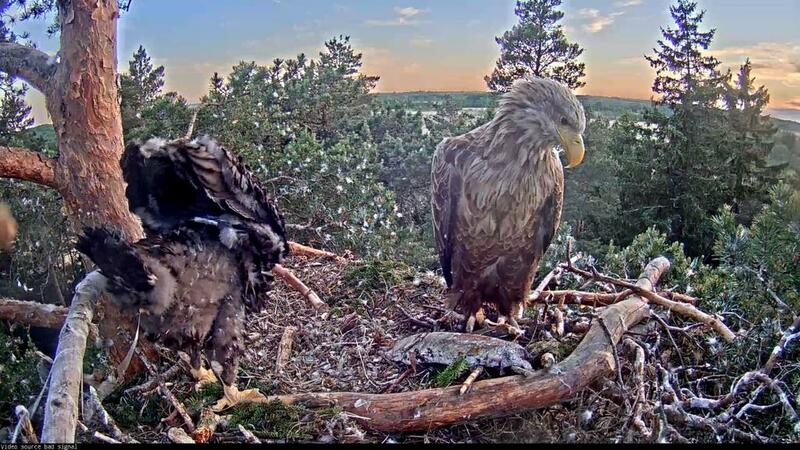 Beautiful evening and relaxed duo on the nest. 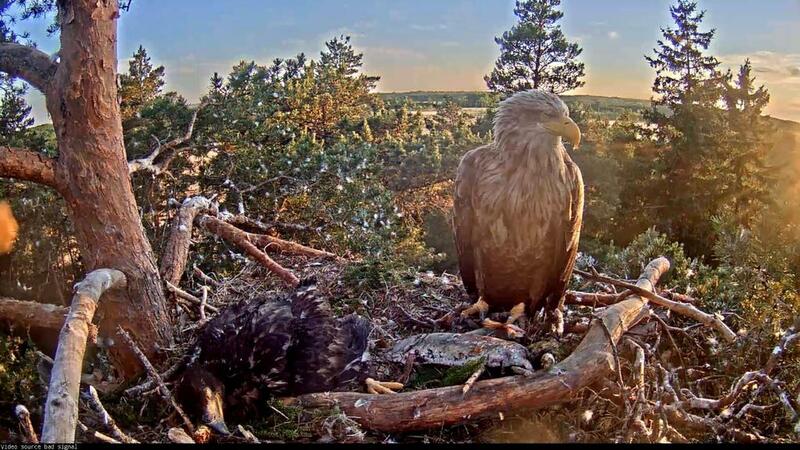 Thanks everyone for the comments and pictures. Thanks to everyone for the pictures and observations. 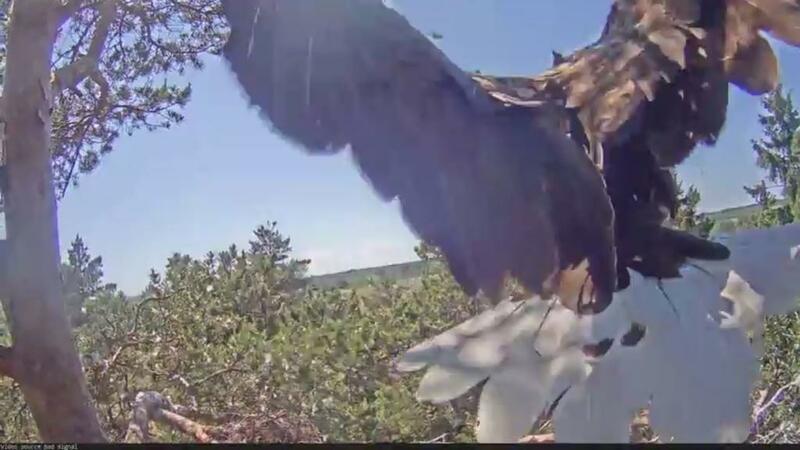 At the moment there are huge amounts of different kinds of insects in and around the nest. Late in the evening there is sometimes a nice show, as many white or cream-coloured nocturnal moths are flying near the nest for some minutes, disappearing and emerging again. Btw. The weather forecast looks a little bit better. There can be some light rain early in the morning tomorrow and also on Tuesday. 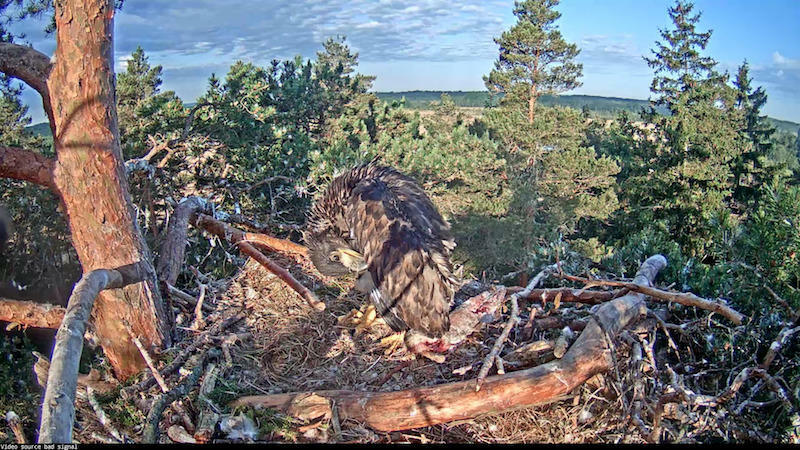 After I have not had much time to watch the eagles I have been very lucky this morning. 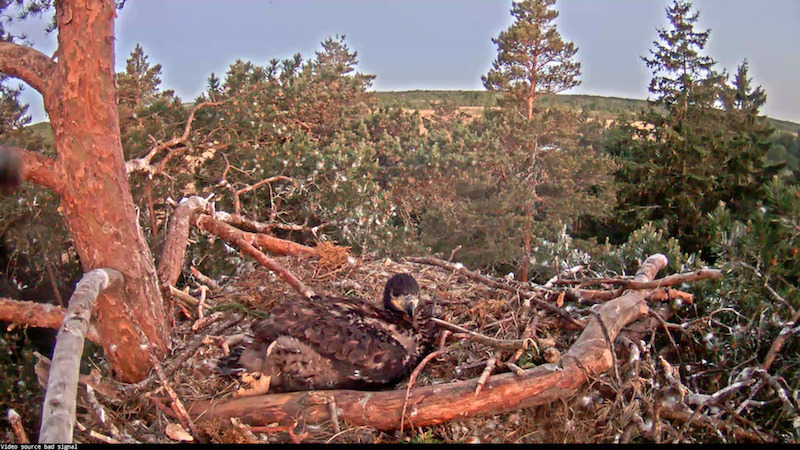 Ivory81, the same happened the night before at the same time: the trunk was shaken and the eaglet got a bit alarmed. 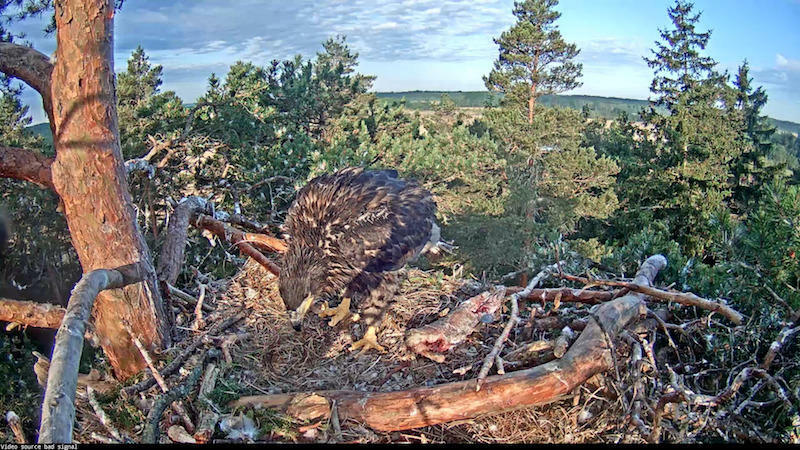 5:10 The eaglet can eat soft parts of fish itself ... and it tried own abilities more or less successfully with the second fish. 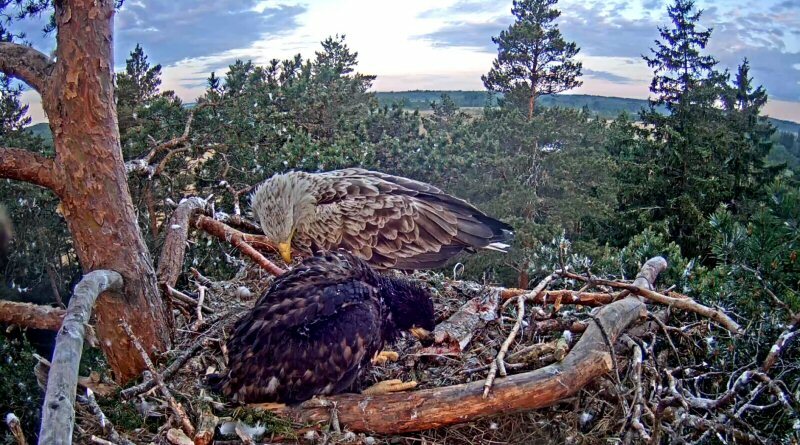 It is a bit strange that Suvi was in the nest all the night and early in the morning, but she did not feed the little one. 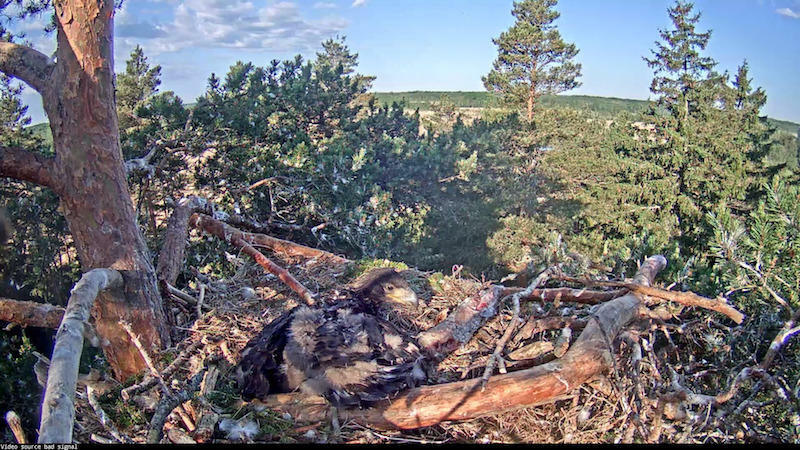 There were two fishes from yesterday in the nest. 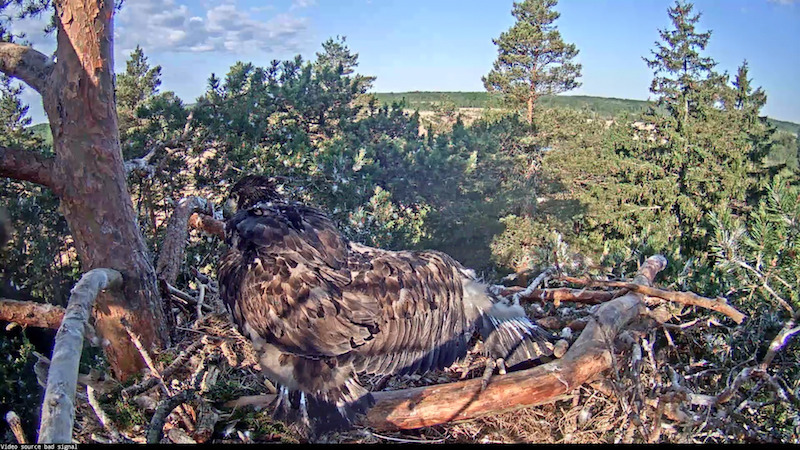 I did not see the change, but Suvi must have left about 4:55 and Sulev started to feed and eat himself right after having arrived. About that rain... The rain area took a more northern route. 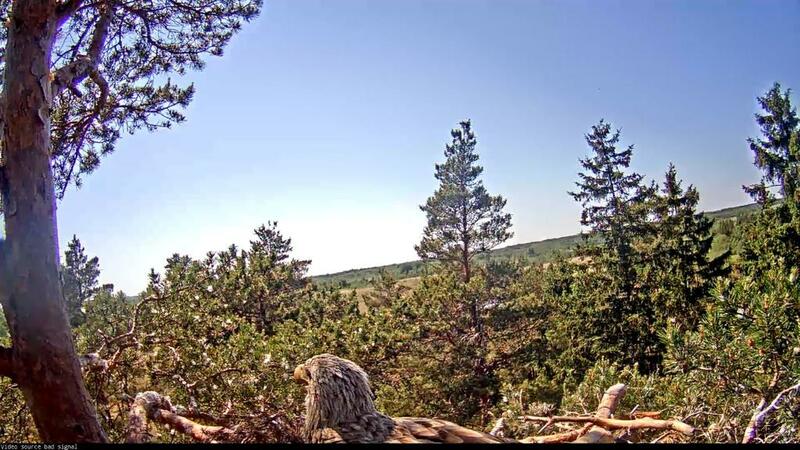 According to the radar, it rained in Tallinn between about 3:00 and 4:00, but not in the nest area. 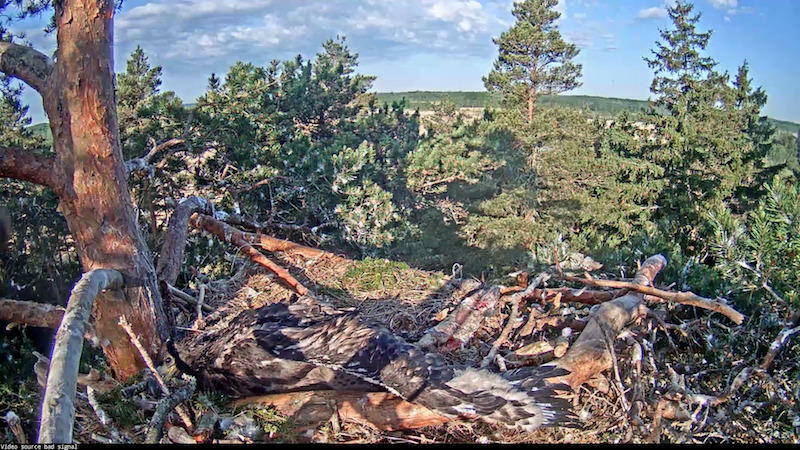 Suvi left at 4.58, the same minute Sulev arrived. I 've got to go Have a nice day! 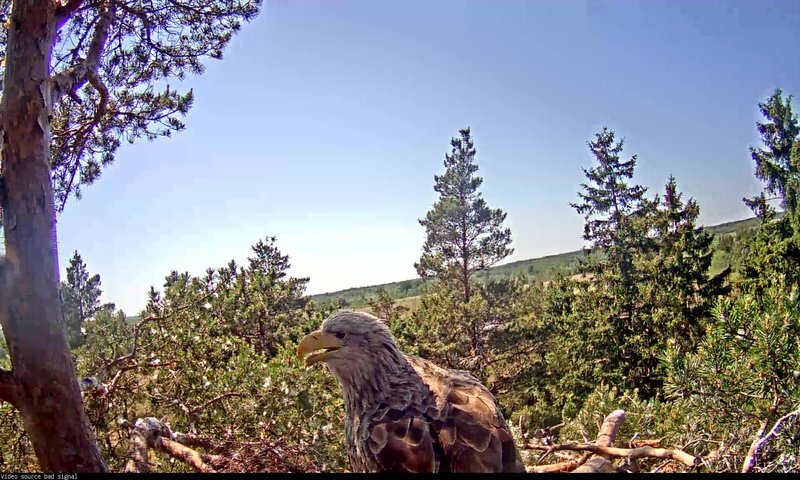 OH, NO.... one naughty Eagle jumped upon/against the camera?!! Bye, rebelde, have a nice day. 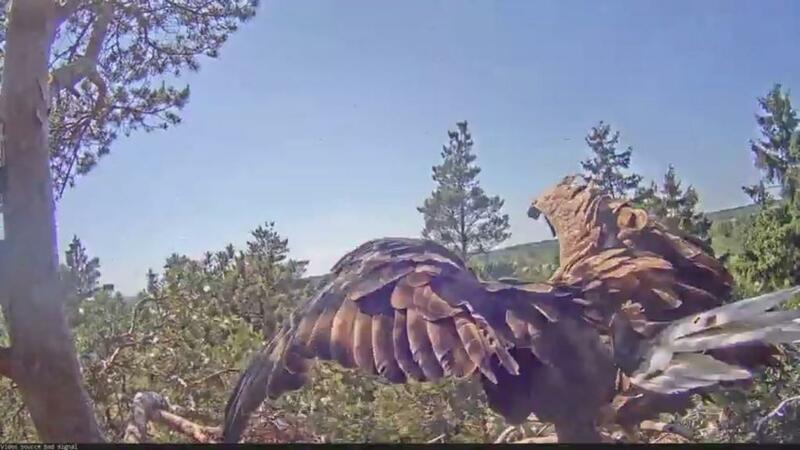 Sooo, we must wait for eaglet ringing with camera adjustment and "video source bad signal" check. Hope that ringing will take place soon.